Restrict Content Pro is fully integrated with the WP Approve User. Install it and you will be able to require that user accounts be approved before members are able to log in and access the restricted content. 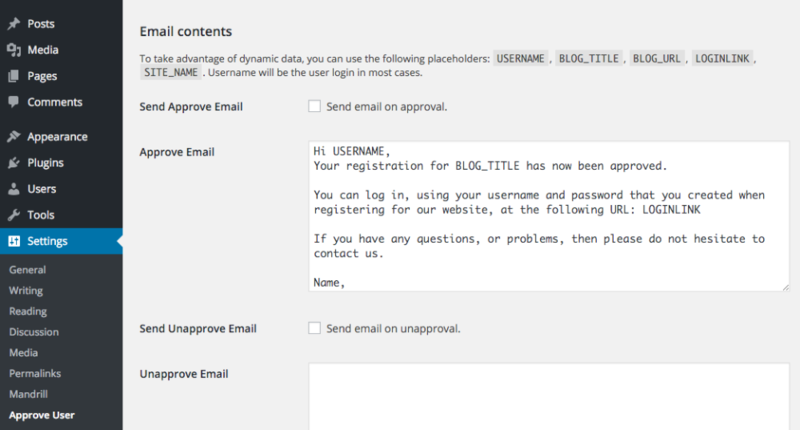 When WP Approve User is active, pending accounts will display a Approve link in the Restrict > Members page. Hover over a member's username to see the actions appear and find the link Approve. Members that attempt to access content before their account is approved will be shown a message that lets them know their account is pending approval from a site admin. WP Approve User options not showing up? Go to Settings > General in your WordPress settings and enable the Membership option.